1st Light Energy is a fast-growing company and a leading installer of custom-designed solar energy for residential, commercial and public sector applications. We have offices on both coasts and thousands of successful installations from Hawaii to Massachusetts. There is no question that we would not be as successful as we are without switching to a Cloud AppExchange manufacturing ERP a little over a year ago. Here’s why. Up until January of 2013, we used the Salesforce® platform for our front end and QuickBooks® as our backend. As every software suite has its niche, QuickBooks did the job for us when we were at $2 million of sales per year. But, as we substantially grew our revenues per month, it became more and more difficult for us to use. For instance, on the sales side, the data was manually entered into QuickBooks. Then, it had to be manually entered from QuickBooks into Salesforce. As the transactions increased, we required more and more people just to enter data to keep our systems going. Our accounting staff grew from three to six people and our purchasing staff went from one to two people. We had also added multiple offices. Without switching to a manufacturing ERP, we could not have created the success we have today. Somehow, we needed an easier way to keep data and measure the interrelationships between sales, inventory, purchasing, job costing and our general financials throughout the company. We believed that an ERP system suited for manufacturers would meet our requirement. With multiple sites, we wanted a comprehensive ERP system that could support these sites with one instance on the Force.com® platform. In under 12 weeks, we implemented both the Rootstock and Force.com joint cloud solutions supporting multiple divisions across the United States. 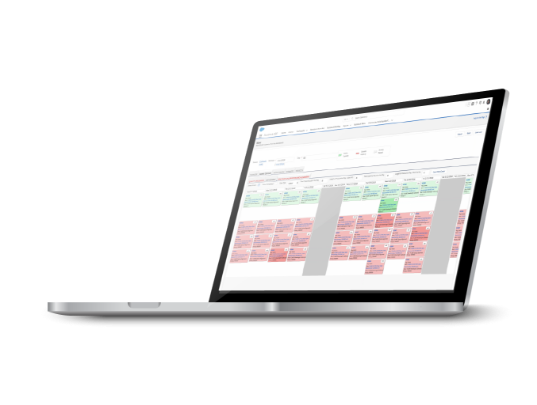 By uniting the new manufacturing and supply chain management software with Financial Force Accounting and salesforce.com Sales Cloud® (CRM), we’ve been able gain deeper operational insights and control while minimizing painful and costly IT infrastructure modifications. The shared cloud platform (with Force.com) enables a seamless integration between the ERP and Financialforce.com apps that couldn’t be achieved if they didn’t share the same data model. What has been especially important to us is that, as we continue to improve and add measures that will help us perform better for our customers, the ERP not only measures these improvements but provides the reporting to us as well. Several of the modules have been especially important. They include, among others, the Material Requirements Planning (MRP), Purchase Order and Project Costing applications. What has been especially important to us is that, as we continue to improve and add measures that will help us perform better for our customers, the ERP not only measures these improvements but provides the reporting to us as well. Material Requirements Planning (MRP) is the software engine that uses the sales order and forecast demands in conjunction with the effective production bill of material and, by reviewing item inventory balances, generates planned supplies in a time-phase manner to offset the outstanding demands for end items and sub assemblies. It generates what are termed planned work orders for manufactured items and planned purchase requisitions for purchase or subcontract items. For firmed (or greater) supplies, it generates reschedule or excess messages when, and if, appropriate. MRP can be planned by division as well as by project (in those facilities where project control is applicable). The MRP module also uses planning policies such as “lot for lot” or days cover. Since many lead times can be stipulated at the item (or commodity code) level, the MRP Engine also determines for the work order supply the scheduled firm date, scheduled release date, scheduled pick date as well as the scheduled start date on the shop floor and the scheduled due date. For a requisition, it will determine the scheduled firm date, purchase order place date, date it is due on the receiving dock as well as the due date it is to be stocked. For those parts identified as items to be planned using “re-order” point, the MRP Engine can also perform re-order point computations. Purchase Order Management covers the entry and tracking of purchase orders for direct and indirect materials and services. This is supported throughout the entire purchasing process, from generation of the requisition through receiving of materials or approval of service provided including accounts payable integration. It also maintains all vendor information and reporting required by Purchasing to make better-informed buying decisions. This module provides us with critical, centralized control over direct material, indirect material and service tracking as well as vendor performance. Inventory and non-inventory purchased items and services can be consolidated on a single purchase order. Purchase requisitions can be converted to new purchase orders or placed as line items on existing orders. Additional items can be added to open orders, providing purchasing flexibility and efficiency. Buyers can make decisions on purchase order quantities and due dates supported by price and delivery history for approved vendors. Comprehensive purchase revision control management capabilities are also included as well as Purchase Order approvals. Project Control provides an additional capability to inventory control tracking as well as planning and costing of items. It lets us control and plan material purchases, manufacturing, and inventory as well as identify inventories and costs by project. We get real-time interactive access to all Project data including a snapshot of the actual costs to date compared to the Budget costs. This data also includes project inventory, PO requisitions, manufacturing work orders, forecasts, salesorders and all transaction associated to the project. Cost accounts for inventory and cost of sales can be designated by project. This allows us to look at financial reports with a project accountant’s view. Since we have hundreds of customers (with many one-time only customers) yet function as a “to order” business, our cost accounts can be identified at the commodity code or item level and this delineation of project accounts is not necessary at the General Ledger. Without switching to an ERP that provides us with shop floor management, purchase order control, inventory management and project lifecycle management, we could not have experienced the success we have today. Our revenues have soared. But, that is only part of the challenge we have solved with manufacturing ERP. To be successful, we need to produce profit from those sales. Before, we could make changes that made sense but we were never certain if those tweaks were making us money or not. Today, our Rootstock ERP not only measures our work but lets us see the differences. For instance, in only ten months, we were able to reduce our COGS (cost of goods sold) significantly. 1st Light Energy is a fast-growing company and leading installer of custom-designed solar energy for residential, commercial and public sector applications. They have offices on both coasts and thousands of successful installations from Hawaii to Massachusetts. “There is no question that we would not be as successful as we are without switching to a Cloud Salesforce AppExchange manufacturing cloud ERP in 2013,” says Trey Lackey, VP of Operations & IT / COO, 1st Light Energy. “We believed that an ERP system suited for manufacturers would meet our requirement. With multiple sites, we wanted a comprehensive cloud ERP system that could support these sites on the Force.com platform. “It’s the flexibility of the Force.com platform itself that allows us to do such things as setting up our front end to simplify ordering and other processes for our commercial and retail customers,” adds Lackey. “For instance, some processes can take several steps but, after customizing them, no process takes more than two steps. 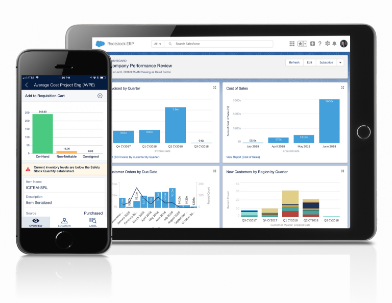 Public cloud platforms, such as Salesforce’s Force.com, offer significant advantages for IT departments, such as 1st Light Energy’s, to easily provide their own customizations to ERP Cloud software written natively on the public cloud platform. This is one of the significant differences, and benefits, to open systems on a public cloud. Latent customization projects can be controlled by the customer rather than the software provider. Customers of public cloud software want the same ecosystem to share the same “look and feel,” for all the software they use. They want everyone to use the same protocols for opening up their applications so that all software will easily interface with others. And, most importantly, they want all cloud apps to be on a platform that insures the confidentiality, integrity, and availability of their information. In addition, they want to have a choice of multiple apps to satisfy their own specific business requirements. Furthermore, they will benefit from knowing that software solutions that they will want to add in the future have a very strong likelihood of being developed in this same ecosystem. Third-party applications that share the same platform are usually easier to manage and integrate; they provide end users with a consistent interface and experience. According to Gartner, Salesforce has a huge lead over its competitors when it comes to ecosystem and platform maturity, as it clearly has the most applications, customers, revenue and advanced features, making it the clear market leader. Not only does its Force.com platform provide development tools used by a large community of software vendors to ensure their products react as though they belong to the same family, it also serves up common objects, including customer, product, vendor and employee, which all software developers, including Cloud ERP system providers, should use in their software solutions. As the leading cloud platform, Salesforce provides a stable and growing cloud ecosystem for manufacturers looking for cloud-based ERP solutions. Salesforce has, in fact, become the perfect platform for cloud ERP. Rootstock Software is one of these cloud ERP providers. Rootstock’s solutions support multiple companies, multiple divisions and multiple sites, an important consideration for 1st Light Energy, all within a single tenant on the Salesforce platform. This is exactly the kind of stability and flexibility that the solar leader was looking for. There are ERP modules for sales order management, purchase order management, production engineering, inventory management, material requirements planning, lot and serial control, scheduling and capacity planning, and shop floor control. 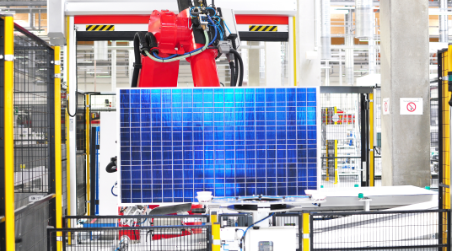 Manufacturing cost control and project control modules give companies, such as this solar power leader, finer control over costs. Financial Apps include features such as A/R Cash Application and Credit Management, A/P Payment Processing and General Ledger and Journal Management. Financial Reporting will include fully customizable A/R and A/P Aged Trial Balances and Sub-Ledger analysis as well as Management reports for Profit and Loss, Balance Sheet and Cash Management Analysis. Existing Rootstock application features such as Sales Orders and Invoicing, Purchase Orders to Receiving to Vendor Invoice 3-way Match, robust Cost Accounting as well as recently released features like Subscription Billing and Deferred Revenue and Cost of Sales Management, provided much of the heavy-lifting source of transaction feeds into the new A/R, A/P and G/L Financial Apps. Adding more A/P functionality, such as invoice, debit memo and vendor credit maintenance (based on RTV transactions), to the flow was a natural extension of the present core functionality that has been provided to customers for several years. 1st Light Energy Inc. was founded in January of 2005 with the vision to provide alternative energy solutions that positively impact our environment with solid financial returns for our customers – both residential and commercial. Through this vision, we have become one of the most experienced solar companies in the Nation. 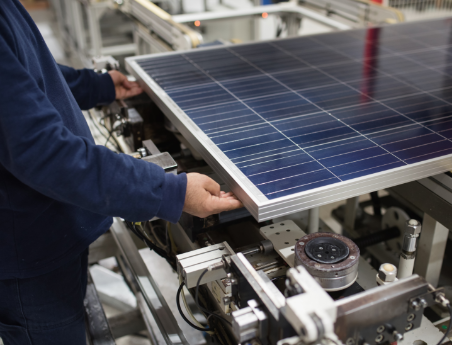 Many of our employees at 1st Light Energy started in the solar industry in the late 1990’s and early 2000’s. Over the years, 1st Light Energy has been a stable and growing California-based nationally branded photovoltaic (PV) systems installer and integrator. We are a complete Renewable Energy Firm that helps residential and corporate customers reduce their electrical energy consumption and carbon footprint through advanced, turn-key solar energy systems. While many solar companies have come and gone, here at 1st Light Energy, we remain servicing each and every customer and taking care of all warranty issues. A solar system is only as good as the company who installed it and so long as that company is in business to maintain it. To learn more about 1st Light Energy, please visit www.1stle.com.